Where in the world would you go study, if you had $5,000 to help you on your way? That’s an easy answer for five Benjamin A. Gilman International Scholarship recipients at the University of Oregon. The five recipients were part of a group of 11 applicants from the UO — making the success rate at the university a whopping 45 percent, leading to the UO’s impressive ninth-place rank amongst 358 other colleges and universities across the nation for Gilman scholar recipients. This year, the UO students join 855 undergraduates selected from around the country. Gilman Scholars receive up to $5,000 to apply towards study abroad program costs, with the ultimate goal of encouraging students from traditionally underrepresented groups to study or intern abroad. "The UO continues to be recognized as a leader in global education and as a top producer of Gilman Scholars," said Dennis Galvan, vice provost for international affairs. "Our study abroad office, Global Education Oregon, will continue to champion student access to innovative programs around the world." The rankings do not factor in the total student population of each campus. If the rankings were based on number of awards per capita, the UO would be in the top five nationally. 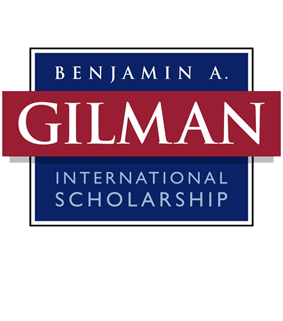 Anyone interested in learning how to apply for a Gilman Scholarship should call 541-346-3207 to set up an appointment with a study abroad advisor or stop by Room 333, Oregon Hall for drop-in study abroad and scholarship advising from 1:30-3:30 p.m. Monday through Friday.